Magnificent private oceanfront estate on exclusive Hanapepe Loop 2013; A choice enclave of 15 oceanfront homes uniquely set high above the ocean facing Diamond Head. 121 linear feet of ocean frontage directly at renowned China Walls surf spot. Renovated by renowned architect, Peter Vincent FAIA, this oceanfront compound features a dramatic 2 story living room, kitchen by Details International, oceanfront pool, spa, pond, 8-seat movie theater and more 2013; a grand oceanfront oasis. Look for video icon under MLS Photo. An island oasis, Ku2019;oko2019;a Kai, the Hawaiian term meaning Freedom by the Sea, was built in 2011. Developed with custom home technology and impeccably designed to enjoy the serenity and beauty of island living. Travertine and Brazilian Cherry wood floors are paired with detailed accents and light that pour into every room. Standout features include a chef2019;s kitchen with top-of-the-line appliances, an in-home gym, and separate guest quarters. The lower level areas fully open to create a single indoor/outdoor living space with Maunalua Bay and Diamond Head as a backdrop. The distinctive features and attention to detail throughout Ku2019;oko2019;a Kai are unparalleled. Beautiful Oceanfront Home with Spectacular 2 Million Dollar Diamond Head and Ocean Views with Stunning Hawaiian Sunsets. 78 Linear Feet of Ocean frontage. This modern contemporary style home has a flexible floor plan with indoor/outdoor living features. Master & Junior Suites with ocean views. Large wrap around Lanai from Master Suite. 2 Guest Rooms with separate entries. Total 6 bedrooms & 7.5 bathrooms. Lots of room for large Ohana or rental opportunities. Spacious covered lanai perfect for entertaining. Large yard with beautiful in-ground pool leads to the open ocean 2013; Get in your kayak and go! Lava Rock Walls and Professional Landscaping provide a beautiful tropical atmosphere as well as privacy. Located near Sandy Beaches, Restaurants, and Shopping 2026; and more. 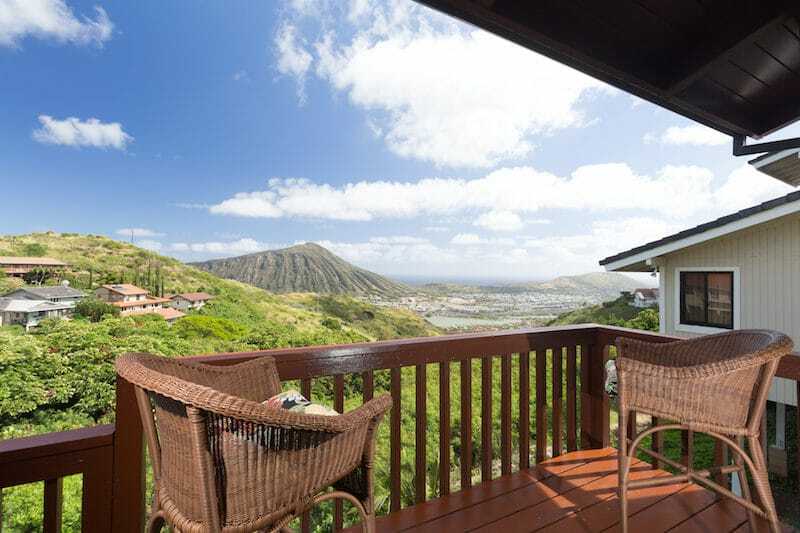 This property is located on a quiet cul-de-sac in Portlock, one of the most prestigious neighborhoods on Oahu. Situated on a cliffside, this 42,519 SF property offers captivating views of the endless ocean horizon, Diamond Head, and sunset. The hillside behind the home is a nature preserve, providing residents with ample privacy. While this 15,015 SF home is in need of some repair, it has great details that make this property truly unique. It is split level with five bedrooms and five baths. The home has a modern and contemporary feel, with central AC and recessed ceilings. This home sites adjacent to one other property that is also for sale. D;A; This is a rare opportunity to obtain a significant amount of coastal square footage to build a large estate, in one of the most coveted neighborhoods!